Do you trust your nutritionist? 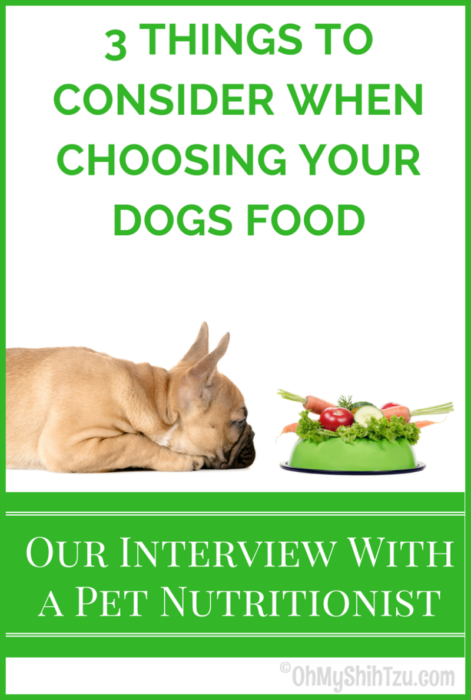 How about your pet nutritionist? What you don’t have a nutritionist for your dog? That’s okay because I don’t either, but I feed Petcurean and they have Dr. Jennifer Adolphe. Dr. Adolphe has a Ph.D. in companion animal nutrition in addition to being a Registered Dietician for humans. A couple of weeks ago I was honored to interview Dr. Adolphe and I wanted to share the interview with you! CP: How did you become a nutritionist? JA: I started with human nutrition becoming a Registered Dietician, along with receiving a masters in Human Nutrition. Because I knew I had to do something with pets, I went on to earn my PhD in companion animal nutrition. CP: When people are searching for a dog food what are the top 3 things one should take into consideration? Owners need to look at the individual pet, their health and lifestyle. Petcurean has a food finder to help direct each owner to the right food. Look at the characteristics of the company. Do they have a quality assurance program and do they provide background information. What has and hasn’t worked for your pet in the past. CP: We see a lot of grain free options today than 5 years ago. At which point should we switch our dogs to a grain free food? JA: A good strategy is if it’s not broken then don’t fix it. Unless your dog starts showing signs of sensitivities such as loose stools, it’s a good strategy to stay with whats working. CP: We’ve been feeding the Senior food to a few of our girls for over a year now and I have noticed that it has a lower fat content. Why do older dog benefit from this? JA: Fat is energy dense. Carbohydrates and proteins have the same energy gram for gram, but contains twice the energy content. Since senior pets are not so active, a lower fat content is more suitable. 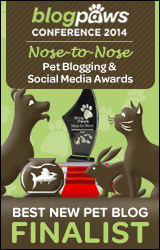 CP: I’ve written before about the different sized kibble Petcurean offers. What are the benefits for the different sizes since it is rarely seen among other pet food companies? JA: Research has shown that well with the smaller kibble. The smaller kibble is easier to handle for the small breeds and for bigger dogs the larger kibble allows them to eat slower. One of the reasons we love Petcurean is because of the many different recipes they have to suit your individual dogs needs. From their Go!™ recipes that are formulated for dogs with food sensitivities; to the Now Fresh™ recipes that are packed full of nutritious ingredients like market-fresh meat or fish and fresh omega 3 & 6 oils from coconuts and canola. So in order to help you out, here are a few of our past posts! Would you like to try Petcurean today? Then go HERE to download your coupon for a free trial bag. Because I’m sure your dog will love you for it!